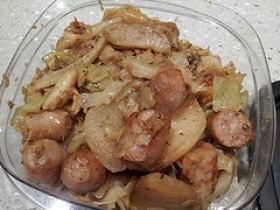 Have you made Cabbage & Potatoes? 1. 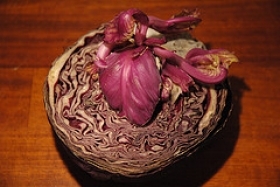 Cut the cabbage in half and soak in salted water for 15 minutes. Agitate and drain well. 3. 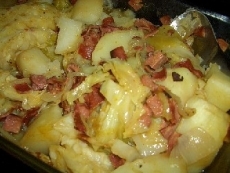 Heat the bacon fat or butter in a large, heavy skillet and add the diced potatoes. 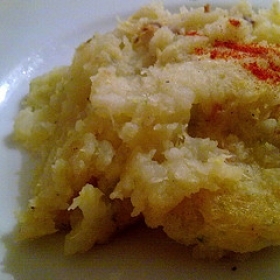 Cook over medium heat until lightly browned. 4. 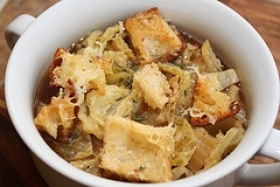 Add 2 chopped onions and cook until transparent, about 5 minutes. 5. 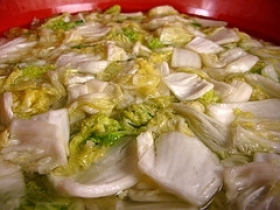 Add cabbage and toss well with two wooden spoons, a la stir-fry. 6. 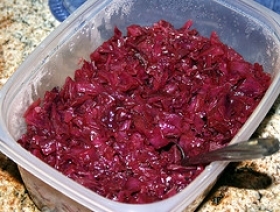 When the cabbage starts to wilt, add salt and freshly-ground black pepper to taste and a splash of that beer in your left hand and about 1 T wine vinegar. 7. Cover, with lid slightly askew, and simmer over low heat until tender (about 30-45 minutes). This recipe is high in Vitamin C with 51% of your daily recommended intake per serving. 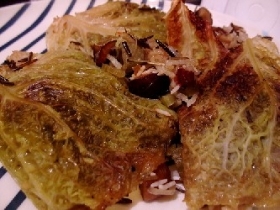 This recipe contains potential food allergens and will effect people with Butter, Gluten, Potato, Sulfites, Cabbage, Alcohol, Vinegar, Onion allergies.